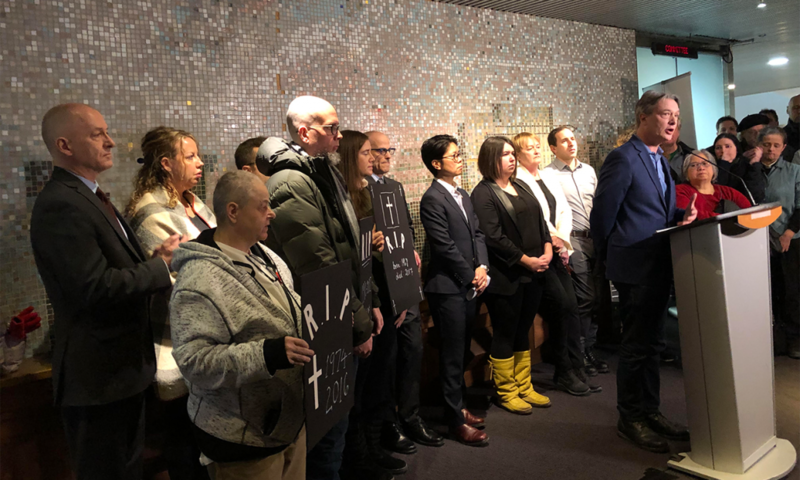 City councillors Kristyn Wong-Tam and Gord Perks asked city council to declare Toronto’s homelessness and housing crisis a state of emergency during a press conference at City Hall on Jan. 22. Wong-Tam and Perks, who represent Wards 13 and 4 respectively, gave a list of five recommendations to address the crisis to city council’s Planning and Housing Committee.They requested support from all three levels of government. In a letter to the members of the Planning and Housing Committee, Wong-Tam and Perks said that in 2018, there were approximately 181,000 people on Toronto’s centralized waiting list. The letter also states that approximately 14,000 residents living with serious mental health challenges are on the waitlist for supportive housing. Cathy Crowe, visiting practitioner at Ryerson, street nurse and an advocate for homelessness in Toronto, was close to tears during her address about the crisis. The media should not treat this as a “cold-weather story,” she said. “It is appalling to think that the best thing the city could do is put a blue curtain around a hallway and call that a warming centre,” she said. Audio story of city councillors calling on the city to call the homelessness crisis a state of emergency. Rafi Aaron, spokesperson for the Interfaith Coalition to Fight Homelessness, also spoke during the press conference. Aaron said the 16 Out of the Cold Shelters in the city are experiencing overcrowding issues. According to the city’s data on overnight shelter usage for Jan. 21, several shelters were over capacity including Metro Hall which was over capacity by about 20 people. Aaron said what hurts the most is when the Out of the Cold shelters and warming centres close for the season, leaving guests right where they were found. Among those who attended the press conference were community advocates and frontline workers. Some of them were holding signs to commemorate the four Toronto residents who died on the street in the first month of 2019. Ann Lapenna was holding one of those signs. 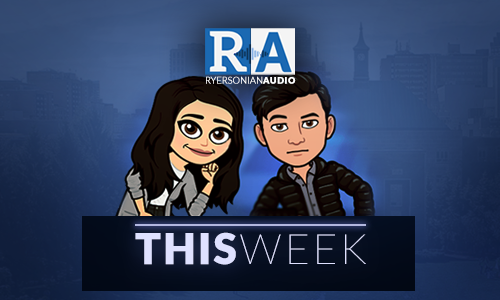 Lapenna, an ambassador for the Parkdale Activity Recreation Centre, said there are too many people dying on the streets and the government should plan ahead to prevent these deaths. A motion to table the recommendations until the committee meets on Jan. 30 was approved by all members present.